I was pleasantly surprised. Pictures didn’t do this place justice. Great value for what I spent!! The staff was kind and accommodating. 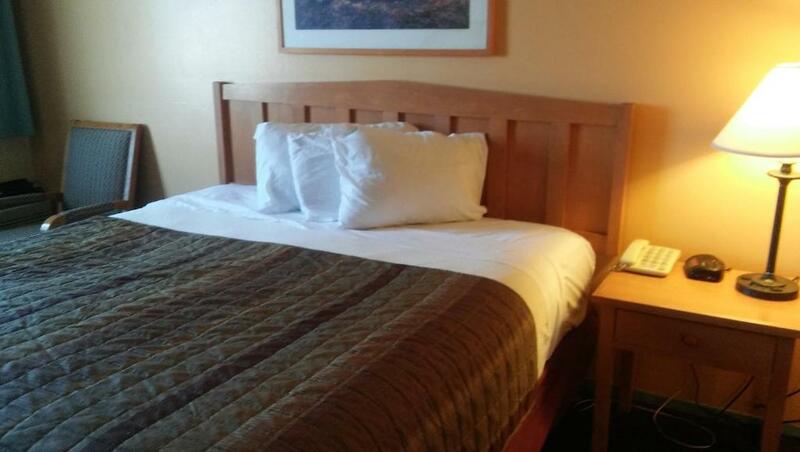 When I expressed my refusal to stay in the Budget Inn based on location and appearances, the staff was accommodating and cheerful,and switched me over to the Super 8, the main property at this location. Room was clean. 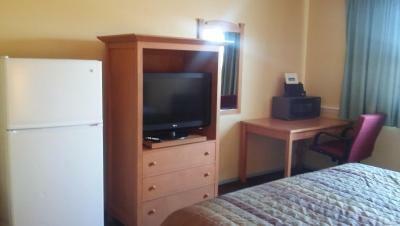 Mostly upgraded furniture, like: bed, light fixtures, TV, full size refrigerator. Bed was comfortable. 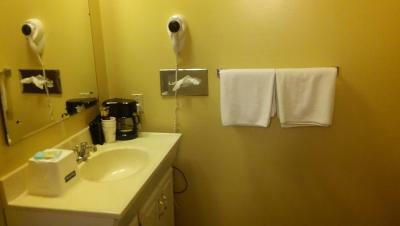 The towels and wash cloths were plush. Plenty of soap and shampoo. Shows they are trying to upgrade the rooms. Bed was best part. Shower was strong but small. breakfast was the usual garbage with a waffle maker. Coffee was terriable. I liked the fact it was easy to book. I liked how fast they got me checked in to my room. It was a reasonable price. I didn't like anything about it. I will never stay there again, it wasn't worth my money!! 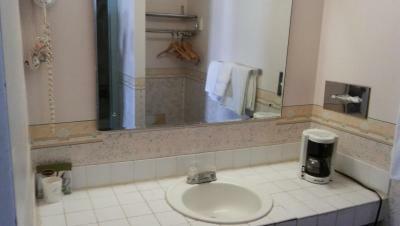 The staff was accommodating, help me find another motel. Budget Inn This rating is a reflection of how the property compares to the industry standard when it comes to price, facilities and services available. It's based on a self-evaluation by the property. Use this rating to help choose your stay! 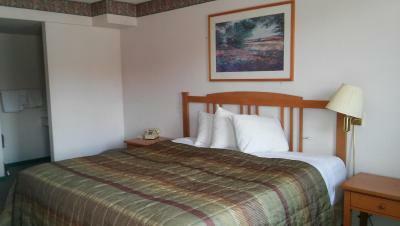 Budget Inn is located in Sterling. 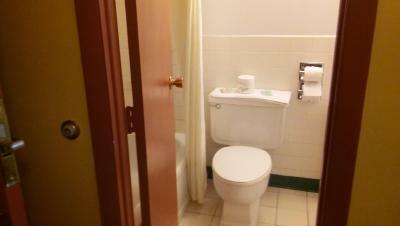 This 2-star hotel has air-conditioned rooms with a private bathroom. The property has a 24-hour front desk. All rooms in the hotel are equipped with a coffee machine. 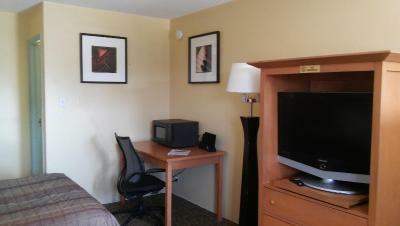 All guest rooms are equipped with a flat-screen TV with cable channels. 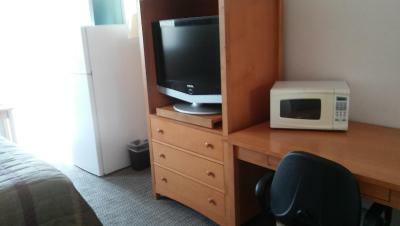 A continental breakfast is available each morning at Budget Inn. 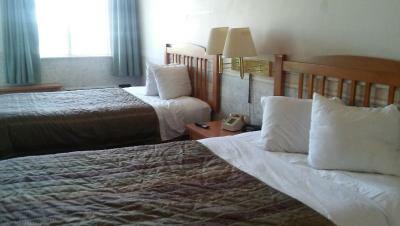 When would you like to stay at Budget Inn? This studio features a cable TV, sofa and tea/coffee maker. 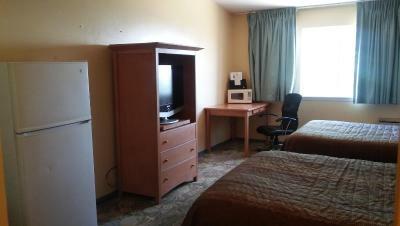 This single room features a cable TV, private entrance and air conditioning. 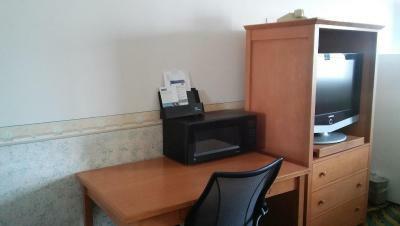 This single room has a microwave, tea/coffee maker and private entrance. House Rules Budget Inn takes special requests – add in the next step! Budget Inn accepts these cards and reserves the right to temporarily hold an amount prior to arrival. No clock or phone in the room. When I turned on the heater the 'smell' set off the fire alarm. When I was packing to leave I saw what I think were to bedbugs on the pillow of the bed I didn't sleep in. 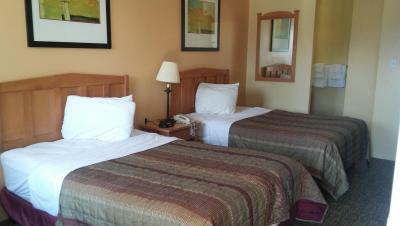 The room was filthy, two double beds for 3 adults and the Air conditioning didn't work. See the rest of my comments above. Nothing!!! We had to register at what we thought was a Super 8 motel but found that it was taken over by Travel inn. I was finally given a room at the travel inn at my advertised price and the staff was very helpful,especially the housekeeping staff. If I were yI would not ever advertise the budget inn. It really needs to be torn down. This property is located in the same field as a level 5 max security prison. The hotel itself looks abandoned. In fact, when checking in you have to go next door to the Super 8 to check in. 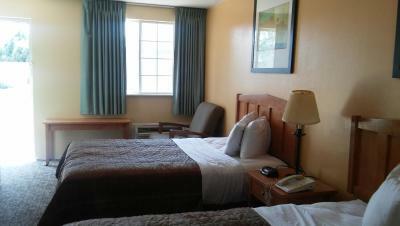 The desk clerk was really nice and made us comfortable by giving us a room at the Super 8 at a discounted price. The Budget Inn should be removed from Booking.com. Abandoned hotel, no pool, no office. everything was run out of Super 8 across the parking lot. For a few dollars more you can stay in a better hotel. The Budget Inn looks deserted, run down, just plain scary, especially for a female traveling alone. Even if it was free, I wouldn't have stayed here. Okay, now the bad. You have to go through the adjacent Super 8 to get the key and have breakfast. The system used to bill the room fee wouldn't accept Discover cards. The buildings are ancient, as are the stairs. No outside light by the stairs. 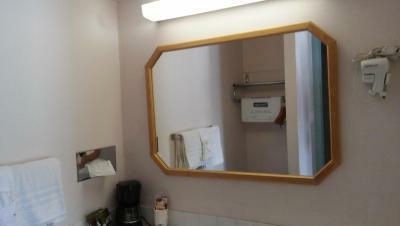 Forget shaving as there isn't a mirror by the sink. The grass, I mean weed area between the buildings is abysmal. Took forever for the hot water to get warm; didn't even have the cold turned on. The water handles in the shower were mislabeled. Phone didn't work so no wake-up call. No Wifi. There apparently had been a break-in because the door jam was severely cracked. The chain restraint inside the room couldn't reach the fixture on the door. 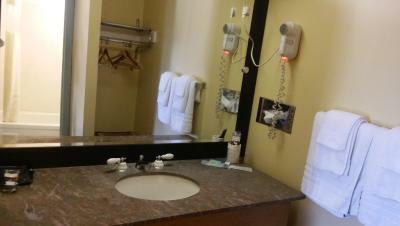 Not worth the $60 room charge; should be considerably less. 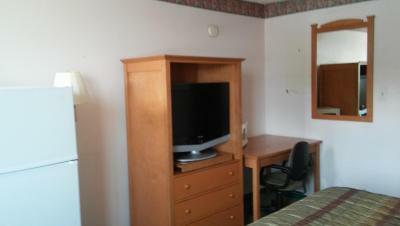 By the way, you're only a few hundred yards from the prison as is the Super 8 and Quality Inn. the description in your site was not even close to what we saw. the place was sad.